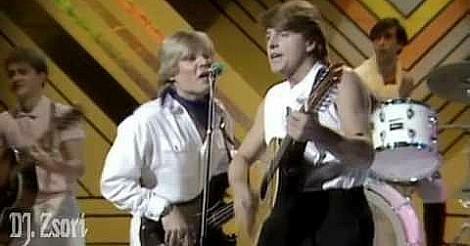 "BEST YEARS OF OUR LIVES"
Firstly, the video clip features the band performing their salsa pop hit "Best Years Of Our Lives" on BBC Top Of The Pops in 1982. Great for getting your party started, 80s pop band Modern Romance scored eight Top 40 UK singles between 1981 and 1983. They were formed in 1980 by members of an earlier band called The Leyton Buzzards. This was the first single to feature Michael Mullins as lead singer (replacing Geoffrey Deane) and it gave the band their highest position in the UK singles chart, peaking at #4 on 2nd January 1983. The 12 inch vinyl featured the Midnight Mix and Extended Mix. The b-side on both the 7" and 12" was "We've Got Them Running (The Counting Song)". "Best Years Of Our Lives" featured on two studio albums; Trick of the Light (1983) and Party Tonight (1983). 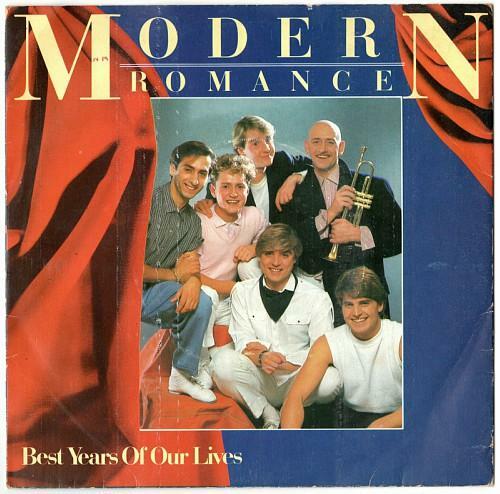 Modern Romance's debut album Adventures in Clubland. This song was actually written in 1950 by Louiguy (Louis Guglielmi), and topped the UK charts twice during 1955 - there were two versions by Perez Prado and Eddie Calvert. 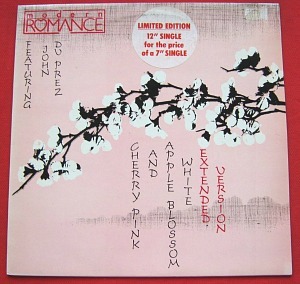 Modern Romance weren't quite as successful, but still managed to reach #15 with their version in 1982.